Salt and pepper are an essential part in every meal. This duo can be stored a thousand different ways from small crystal jars to miniature clay pots and even containers shaped in the form of a unicorn. 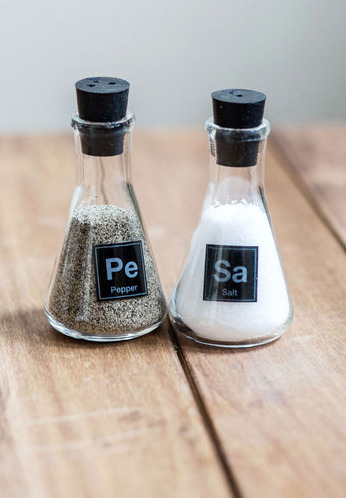 Instead of seasoning your food with plain Jane shakers, opt for one of these unique salt and pepper shakers to add some pizzazz to your kitchen. They can be a talking piece for dinner party guests or just a fun addition to your kitchen to show off a bit of your personality. These jumbo sized salt and pepper packets are modeled after the to-go ones seen at fast food joints. There size are comparable to that of a cell phone and guarantees you will always have seasoning on hand. Star Wars fans will love this fun R2D2 and R2Q5 set of shakers. The shakers stand approximately 3 inches tall and the openings are quite large so be careful not to over salt and pepper your food. A Stormtrooper and Darth Vader set is also available. 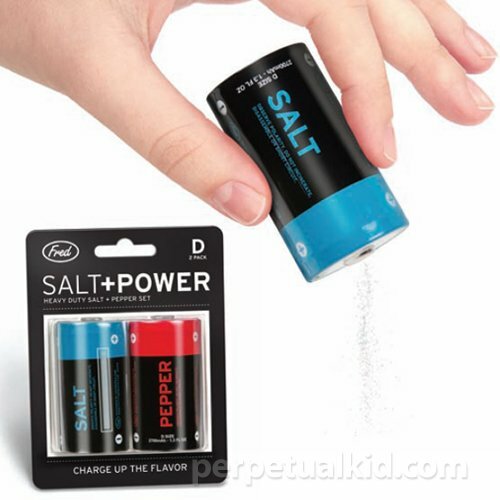 If you collect salt and pepper shakers, this battery set is a must. It is best to use finely ground salt and pepper in these shakers as the openings are on the smaller side. Seasoning your food is a magical experience and these wand shakers enhance this experience. With a wave of the wrist, small granules of salt or pepper float down to the dish and add a tremendous amount of flavor. 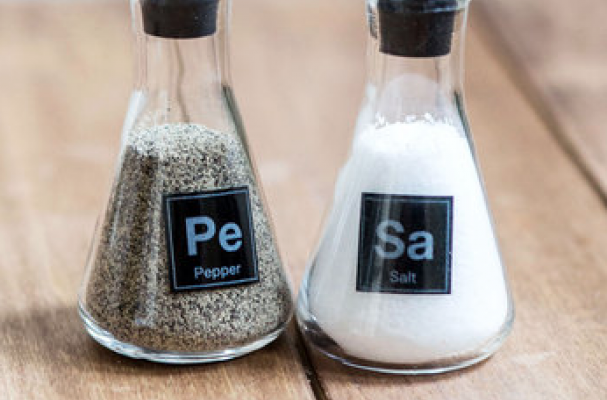 Beaker slat and pepper shakers will make you feel like a chemist in the kitchen. They make for a great gift for a scientist or teacher.